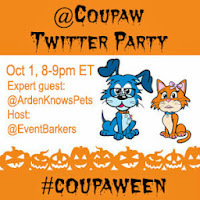 Our Event Barkers upcoming #Coupaween Halloween contest has a sneaky little secret. Our Grand Prize winner will be getting a custom-painted oil portrait of their pet in addition to their shopping expedition to Coupaw. This is one great Grand Prize that will be a very special surprise for this lucky winner. The artist is Debbie Sampson of Art Sports. Debbie specializes in sports illustration and has a nice portfolio of dog illustrations as well. I enjoyed perusing her site and seeing the many cute pups! Debbie has done a great job of making your Coupaw win as smooth as possible by offering complete instructions here. 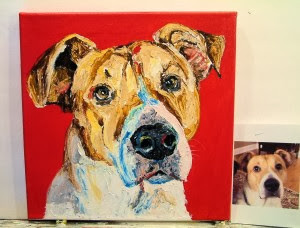 Custom artwork does take time, but the resulting illustration will be well worth the wait, and something you can treasure forever, eternally bonding you to your pet. The value of this additional prize is $175! 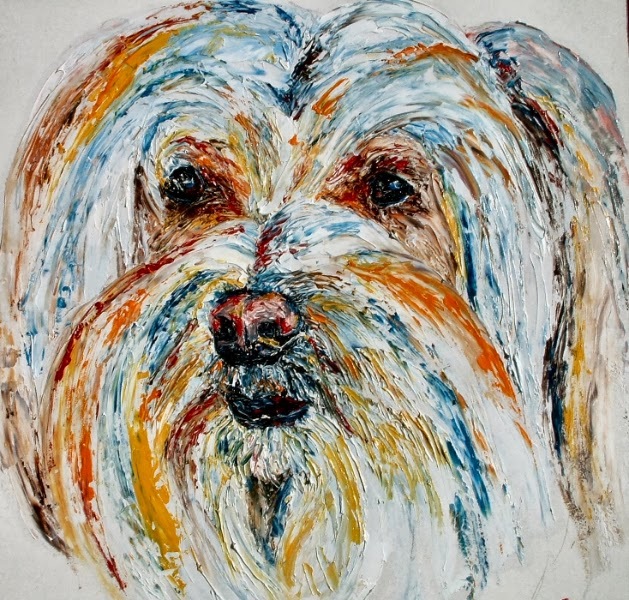 Partnering with Coupaw, Debbie has offered her portraits to Coupaw buyers in offers such as this one. You'll see that she has quite an eye for portraiture. Such talent! 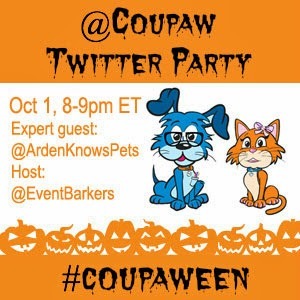 Have you RSVP'd for #Coupaween? You'll want to check out the basics at the RSVP post, get on our list and be sure to mark your calendar to attend. The Grand Prize will go to just one lucky participant. Yes, that's right; in order to win this prize, you'll need to participate. How can you participate? Start by following your hosts and sponsors. Answer questions posed by your host, @DogTipper. Ask questions of our guest expert, @ArdenKnowsPets. RT winners that are announced by @EventBarkers, and finally comment on the tips you'll see offered by @AllThingsDog. You can even RT cute pet pics that will be shared by members of our team, and please do bring your own to show off. We love pictures of your pets in Halloween garb. See you October 1. Come early before we open at 8 PM ET and be sure to say hello when you join us.